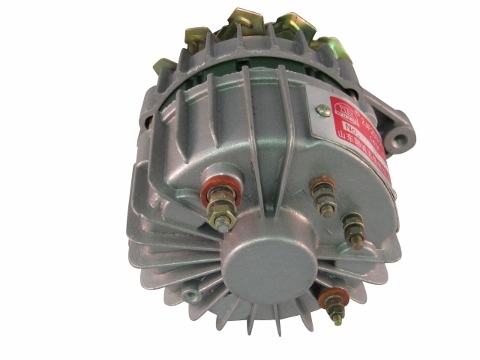 Jinma 200 Series, Jinma 300 Series Alternator Note: Most electrical components are non-refundable. Please call before ordering if you have any questions. This alternator is our most popular starter and will fit on most Jinma 200 Series and Jinma 300 Series tractors. Please inspect your old alternator and check the numbers on it and match with the numbers on this new alternator. 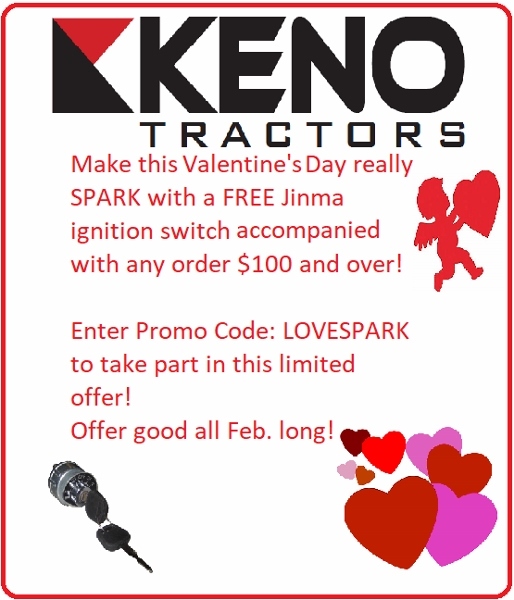 Jinma 204, Jinma 254, Jinma 284, Jinma 304, Jinma 354, AgKing, Agracat, Dakota, EmeryBuilt, Farm Boss , Farm Master, Farmpro, Iron Horse, McKenzie, Nortrac, Taskmaster, Workhorse. From Steve Larson of Cotopaxi, Colorado on 9/21/2017 . 3/6/2016 – Please can you tell me, this alternator is for a Jinma 254? Do you have the correct belt too? Can you ship to the UK? Response From Keno Tractors: This is the correct part for a Jinma 254. I have the belt, and yes I can ship to the UK.